GIVEAWAY! 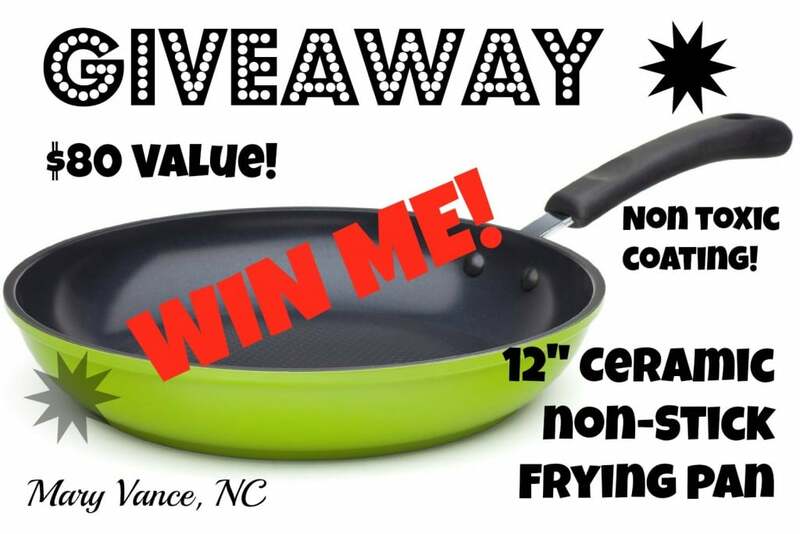 Enter to Win This Non-Stick Green Earth Pan! Becky, you have 48 hours to claim your prize. Thanks to everyone for playing, and make sure to check back for the next giveaway. Guess what? It’s GIVEAWAY time again! To celebrate a new year and over 4,500 facebook fans, I am giving away this 12″ Green Earth Textured Ceramic Nonstick Frying Pan. I asked my facebook readers to vote on a prize, and the green pan was the clear winner! Make sure you ‘like’ me on facebook to participate in voting on future prizes. About the Green Earth Pan: I am very particular about my cookware, because teflon and chemical non stick-coatings leach toxins into your food. This non-stick frying pan is 100 percent PTFE and PFOA free and utilizes an ultra-safe ceramic coating from Germany. Check out its features! I love my green earth pan and use it more than any other saute pan in my kitchen. It’s super easy to clean, and the non stick, non toxic coating is a dream come true. Click the link for the 12″ Non Stick Green Earth Pan to check out the awesome prize. Giveaway begins Monday, January 6, 2014 at 6pm PST. Giveaway ends Monday, January 20, at 12am PST. Winner will be announced on my site, www.maryvancenc.com, on Wednesday, January 22. The winner will be chosen at random by Rafflecopter. Be sure to check back on Wednesday, January 22, 2014 to see if you are the WINNER! The winner will have 48 hours to respond by email. This giveaway is open to U.S. residents only. Void where prohibited. GOOD LUCK!